Definition: “A type of bread made from cornmeal and typically leavened without yeast.” Native Americans were using ground corn for cooking long before the European explorers arrived in the New World. The Native Americans learned early to dry and grind corn into corn meal, the basic component of cornbread. When mixed with eggs and corn flour, the easiest and simplest of cornbreads can be made. Thin, dense, and flat, it was a healthy food that could be transported long distances for months at a time. Cornbread was first discovered by Europeans during their exploration of North America. Europeans who had to use the local resources for food, fashioned cornmeal into cornbread. 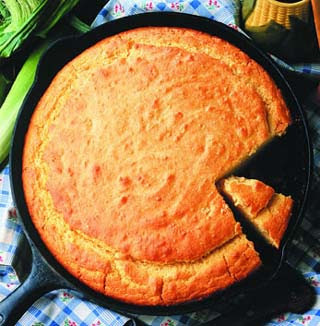 Cornbread was popular during the Civil War because it was very cheap and could be made in many different sizes and forms. Thanksgiving is one of our favorite holidays. It offers us all a chance to stop and look at the many blessings we have around us in our lives, while it rings in the season for Christmas and New Year’s celebrations. 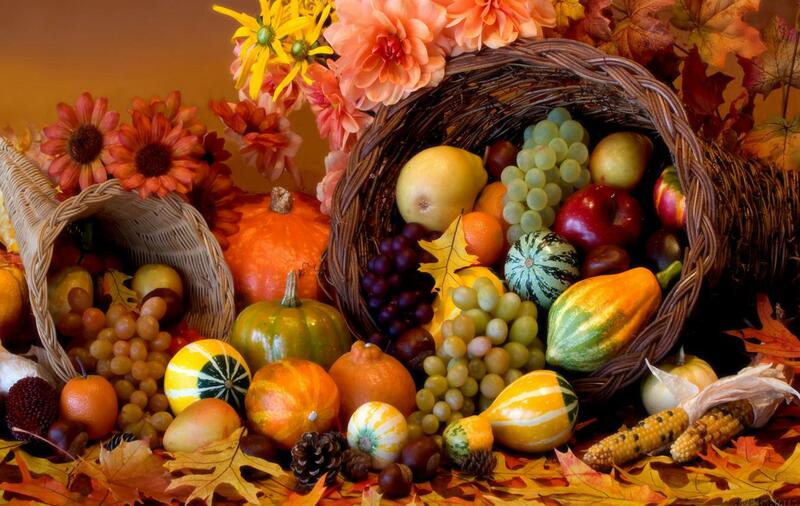 This year we are especially thankful for the abundance we have received through Taos Unlimited and Santa Fe Unlimited. It is such a joy to for us to maintain and continue to create new features for these website portals. Heat olive oil in heavy soup pot, add onions and saute about 5 minutes. Add sweet potatoes, oregano, cumin, chile powder, black beans, chilies, and broth, then bring to a boil. 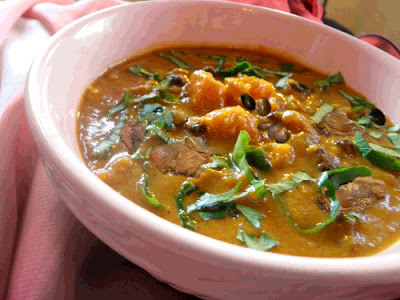 Lower heat to a simmer, and simmer until the sweet potatoes are tender (about 30 minutes), stirring a few times. Add diced turkey and simmer 10 to 15 minutes more. (If using leftover Thanksgiving turkey, just heat through). Stir in lime juice, season with salt and pepper, garnish as desired, and serve. The word burro is derived from the Spanish word “borrico” meaning donkey. Therefore, a burro is a small donkey, often used as a pack animal. 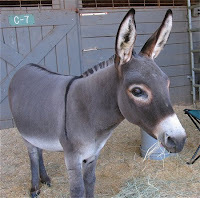 A male donkey (jack) can be crossed with a female horse to produce a mule. Burros come in many different colors including red, red roan, pink, blue, black, brown, and paint. By far, the most common color is grey with a white muzzle and white underbelly. Burros average 11 hands high (44”) and weigh about 500 pounds at maturity. Burros are adapted to marginal desert lands, and have many traits that are unique to the species as a result. They need less food than horses. Overfed burros can suffer from a disease called laminitis. Unlike horse fur, burro fur is not waterproof, and so they must have shelter to protect them from rain and snow. Burros have developed very loud voices to keep in contact with other burros of their herd over the wide spaces of the desert. Burros have larger ears than horses to hear the distant calls of fellow burros, and to help cool the burro’s blood. The tough digestive system of the burro can break down inedible vegetation and extract moisture from food more efficiently. Burros can defend themselves with a powerful kick of their hind legs. 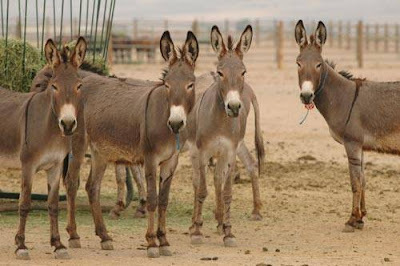 Despite early appearances of burros in Western society, the burro did not find widespread favor in America until the miners and gold prospectors of the 1800s. In the barren, nearly water-less hills, the burro adapted well and became indispensable to prospectors. Burros were used as pack animals for the prospectors, worked in the mines hauling ore, and carried supplies, water, and even machinery into desolate mining camps. Their sociable disposition and fondness for human companionship allowed the miners to lead their burros without ropes; they simply followed behind their master. 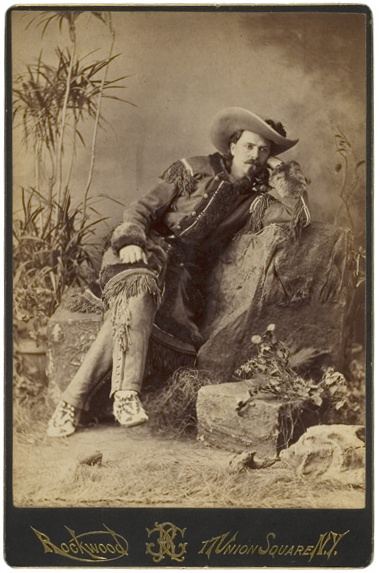 The lone prospector and his trusty pack burro became a legendary symbol of the Old West. With the introduction of the steam train, these burros lost their jobs and many were turned loose into the American deserts. Descendants of these burros can still be seen roaming the Southwest in wild herds to this day. By the early 20th century, the Burros began to be pets in the United States and some other wealthier nations, while remaining an important work animal in many poorer nations. The burro as a pet is best portrayed by the appearance of the miniature donkey in 1929. Robert Green imported miniature donkeys to the United States and was a lifetime advocator of the breed. Mr. Green is perhaps best quoted when he said, “Miniature donkeys possess the affectionate nature of a Newfoundland, the resignation of a cow, the durability of a mule, the courage of a tiger, and the intellectual capability only slightly inferior to man’s.” Standing only 32-40 inches, many families were quick to recognize the potential these tiny equines possessed as pets and companions for their children. 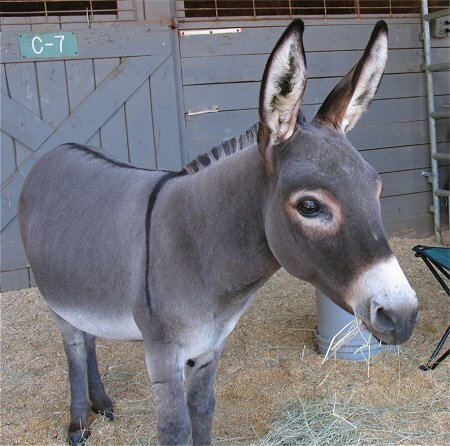 Although the Burro fell from public notice and became viewed as a comical, stubborn beast who was considered cute at best, the burro has recently regained some popularity in North America as a mount, for pulling wagons, and even as a guard animal. Some standard species are ideal for guarding herds of sheep against predators since most Burros have a natural aversion to canines and will keep them away from the herd. Formal studies of their behaviour and cognition are rather limited, but burros appear to be quite intelligent, friendly, playful, and eager to learn. They are many times fielded with horses due to a perceived calming effect on nervous equines. 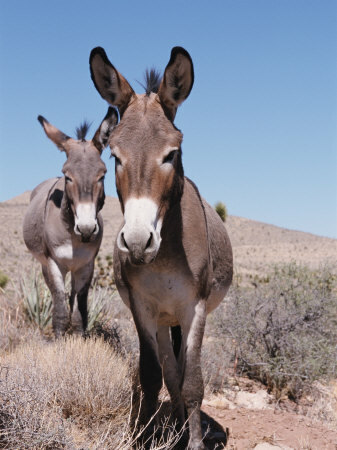 If a burro is introduced to a mare and foal, the foal will often turn to the burro for support after it has left its mother. Most burros (probably over 95%) are used for the same types of work that they have been doing for 6,000 years. Their most common role is for transport, whether that be riding, pack transport, or pulling carts. They may also be used for farm tillage, threshing, raising water, milling, and other jobs.